Discontinued - This selection is no longer available. 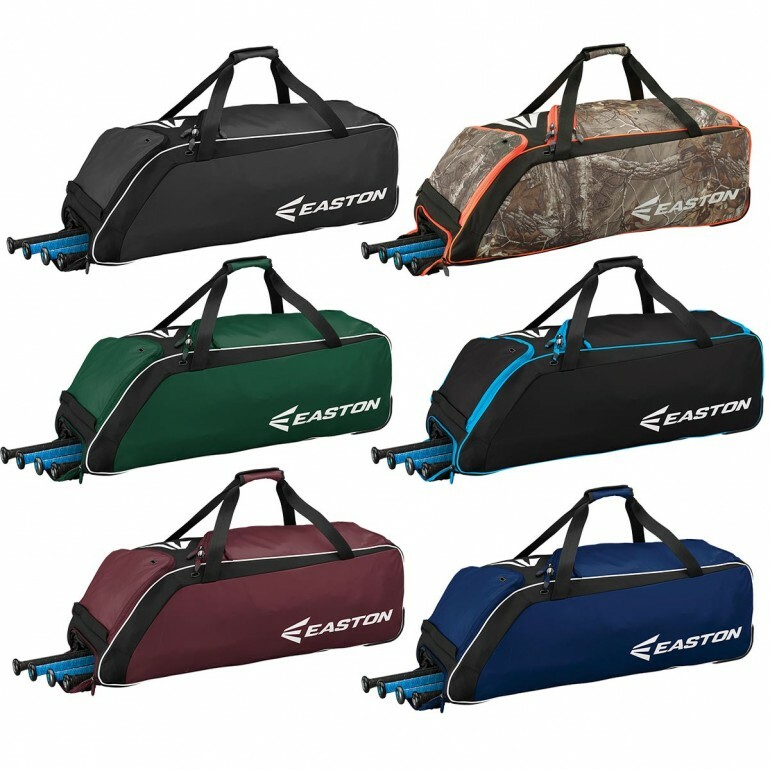 Easton has updated the Sport Utility configuration to make the E510W wheeled team bag even more versatile by adding all-new rubberized pullers and a fence hook for dugout functionality. The inside of the bag features vented pockets that minimize odor and allow equipment to dry faster, and a newly reinforced bottom that helps avoid bulging and premature wearing. 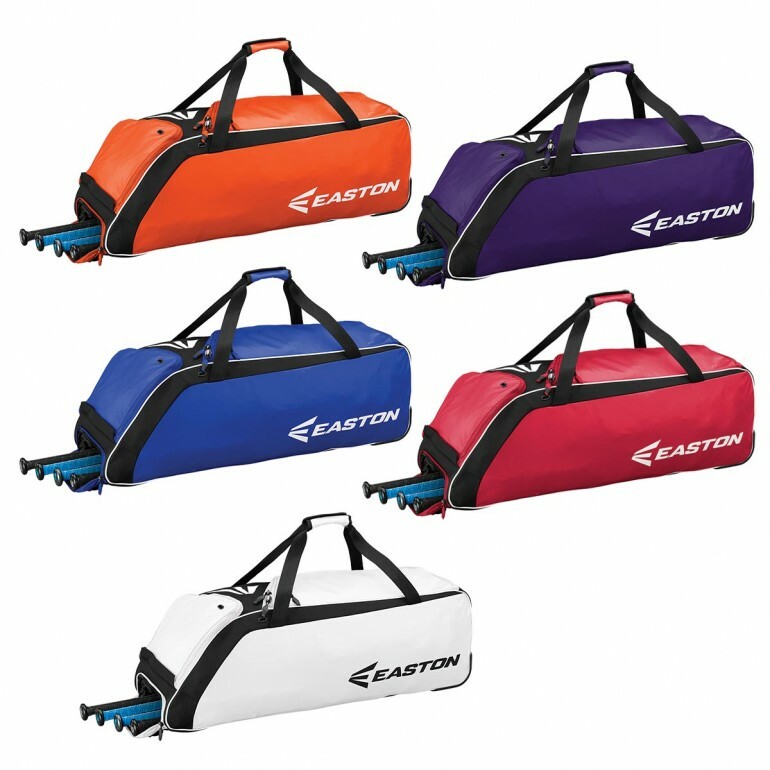 On the outside, heavy duty bracketed inline wheels provide stability and durability. 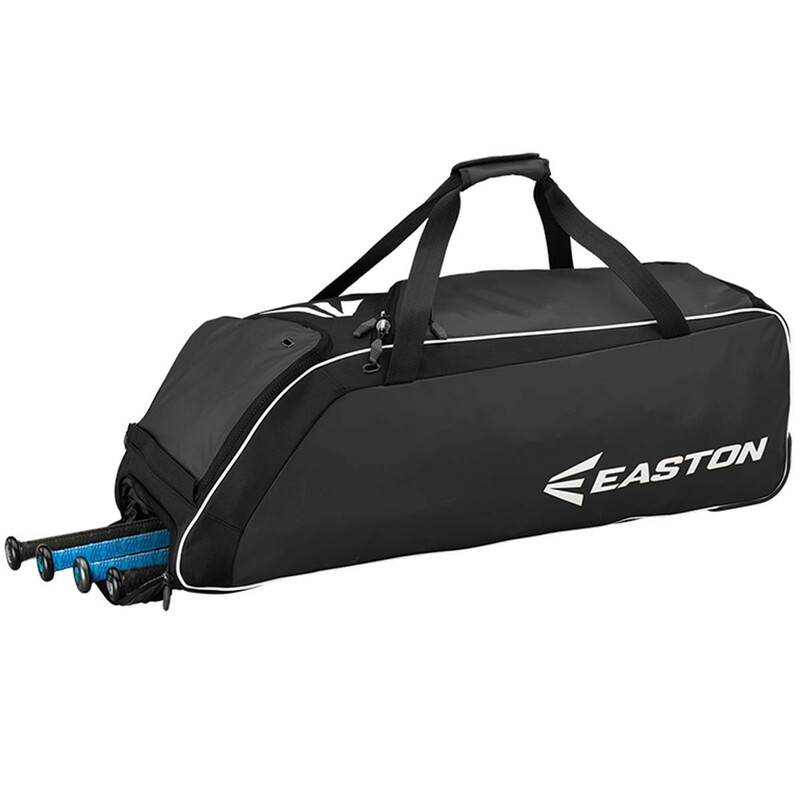 The bag also features a removable shoe panel for custom embroidery, making it the perfect bag for every member on your team.